A Report on the properties of the YHDC current transformer and its suitability for use with the OpenEnergyMonitor system. by Robert Wall B.Sc., C.Eng., MIEE. 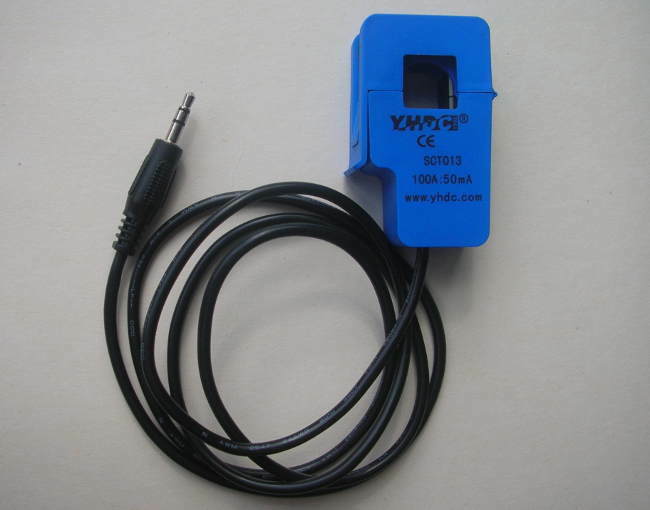 The Yhdc current transformer is manufactured by Beijing YaoHuadechang Electronic Co., Ltd and is widely available from many stockists as Non-invasive AC current sensor (100A max), Model SCT-013-000. It has no internal burden resistor, but a transient voltage suppressor limits the output voltage in the event of accidental disconnection from the burden. It is capable of developing sufficient voltage to fully drive a 5 V input.